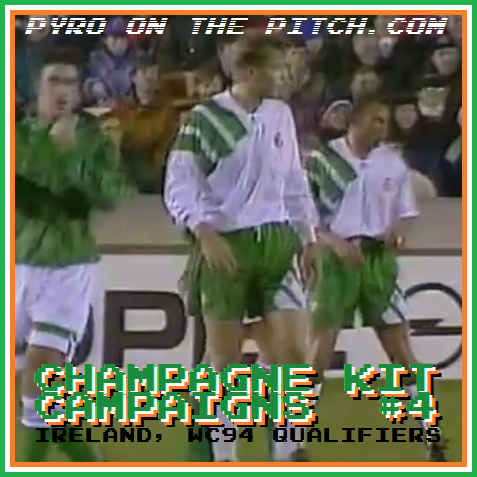 After looking at the unique and interesting style in which both Norway and Russia successfully managed to qualify for World Cup 1994 (with Netherlands 1978 in between), as promised we once again return to the early 90s for our latest Champagne Kit Campaign project. 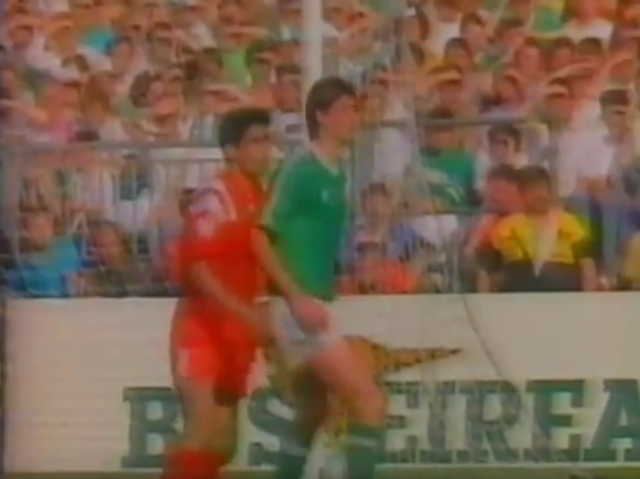 This time it’s the turn of the Irish Republic, making it an unintentional four in a row of teams who wore Adidas in this series (albeit briefly in the case of Russia, which was an anything-but-brief installment). 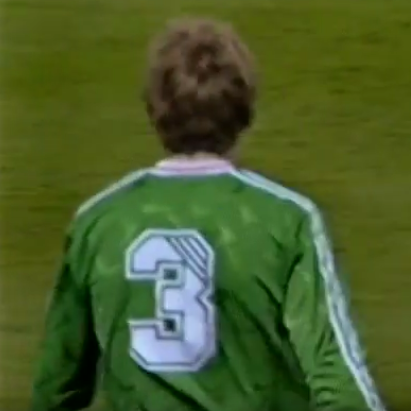 Since the late 70s Ireland had worn three stripes on their kits, but unlike much of Europe it was not the coveted three stripes of Adidas. 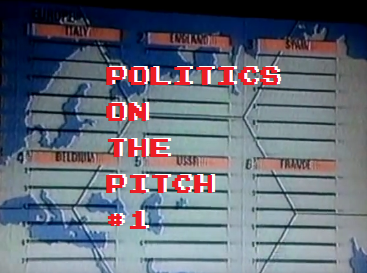 Well, it basically was, but not produced by them. 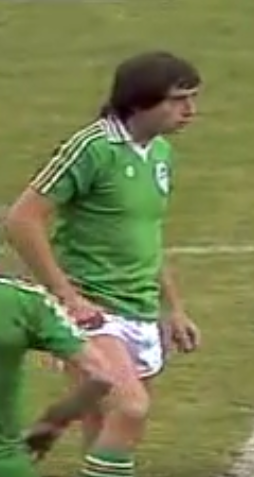 Domestic brand O’Neills had taken over production of the Irish kits in 1976 and flagrantly used the sleeve design – also adding it to the collar and cuffs – for the national team shirt, as well as their club and Gealic games kits (and would expand to taking inspiration from other styles in the future). 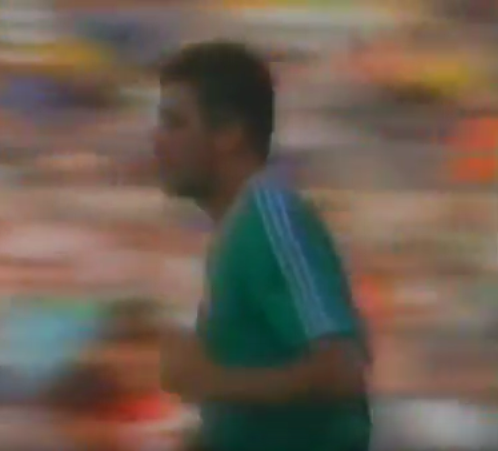 A legal battle eventually declared that O’Neills would actually be allowed to continue using the three stripes – in Ireland only. 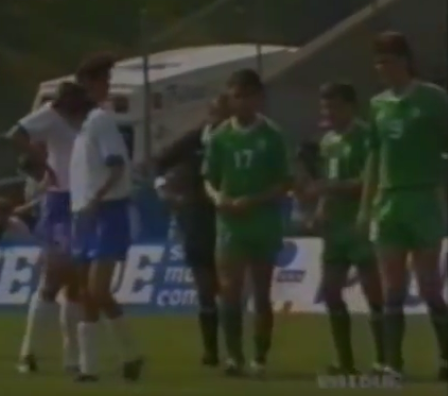 Ireland in three striped kits of the O'Neills variety, vs France, World Cup qualifier, 14/10/1981. 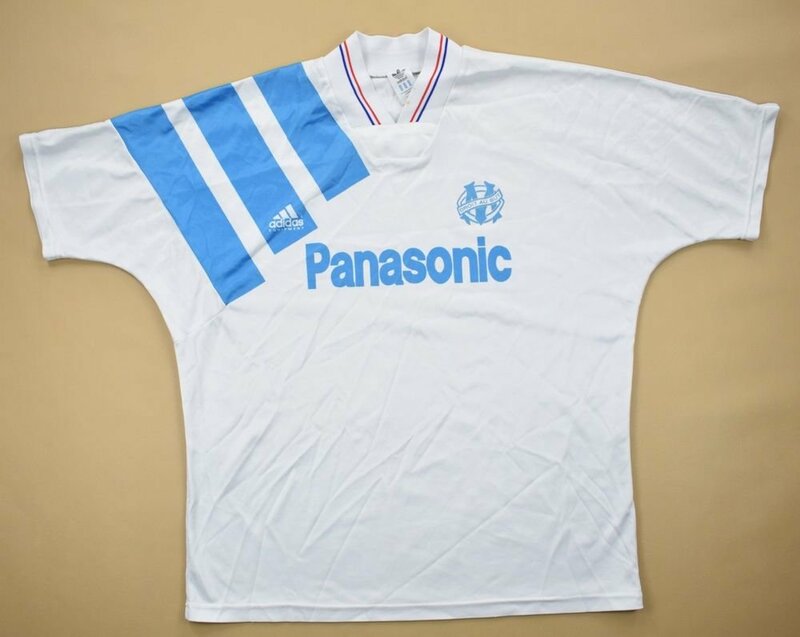 Although some of the shirts became legendary in their own right, it did sort of feel like an Adidas rip-off, while the neighbours from the North had been wearing the “real thing” since 1977. 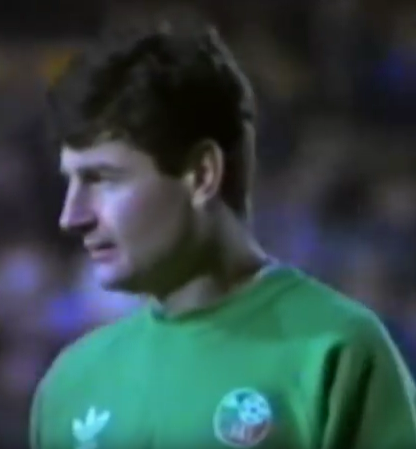 But in 1986 Ireland too switched to Adidas, finally giving “legitimate stripes” to the country. 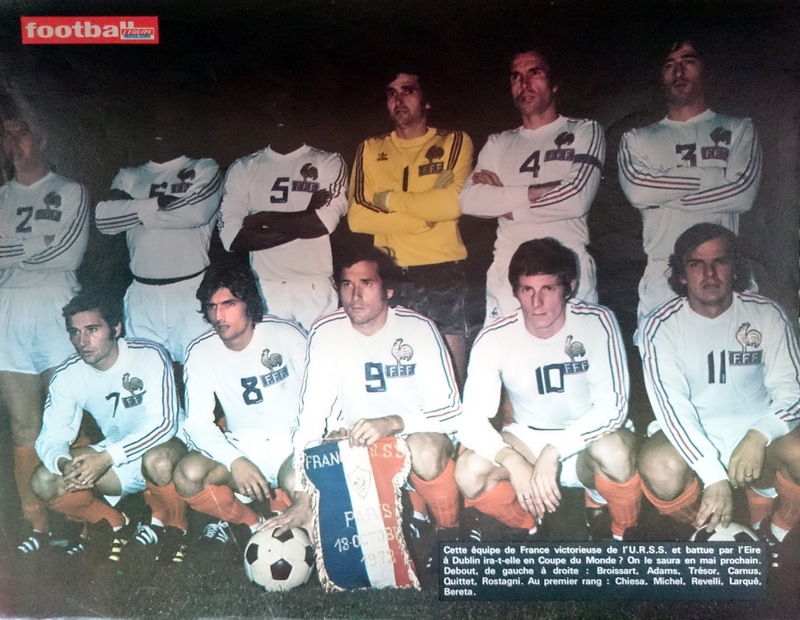 Unlike some of their other kits, the new kit partners never attempted to replicate O’Neills’ practice of often adding the tertiary colour to the middle stripe (at least on a shirt) and a French/Belgian flag-stripe layout also never materialised. 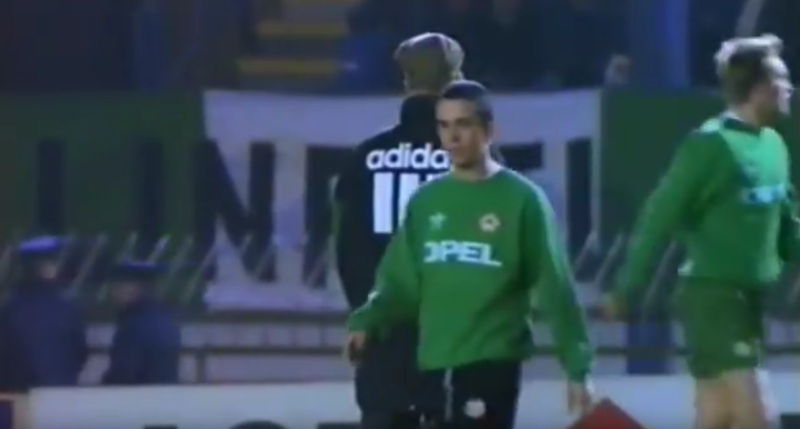 But the simple green and white style perhaps suited the colourway more, as during Adidas’ reign bold orange trim replaced the more understated yellow/gold of O’Neills and was soon represented on the collar, crest and cuffs instead. 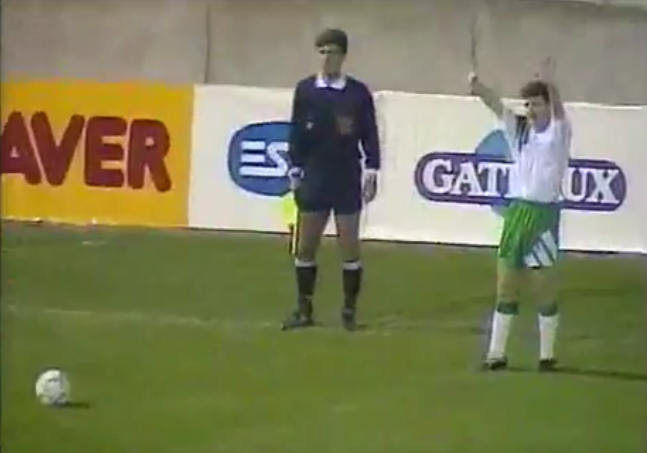 Ireland's Adidas shirt that added orange to the white collar and cuff trim, seen at Euro 88, vs England, 12/06/1988. 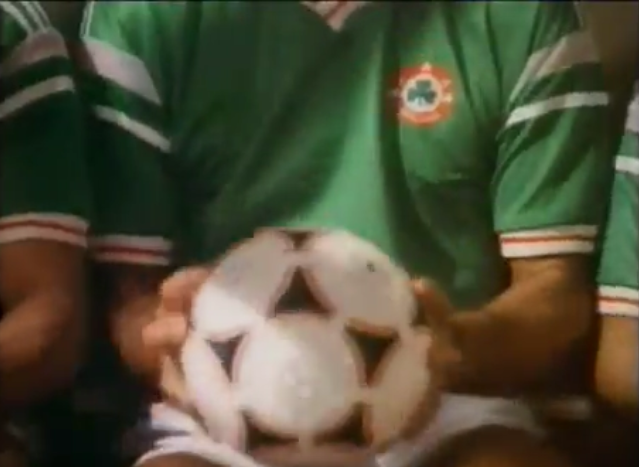 In late 1991, the crest was updated from the “green shamrock in an orange ring” (originally introduced briefly on an O’Neills Irish jersey in the 70s) to a half green/half orange circle containing a small shamrock and FAI text, divided by the white trails of a shooting ball. 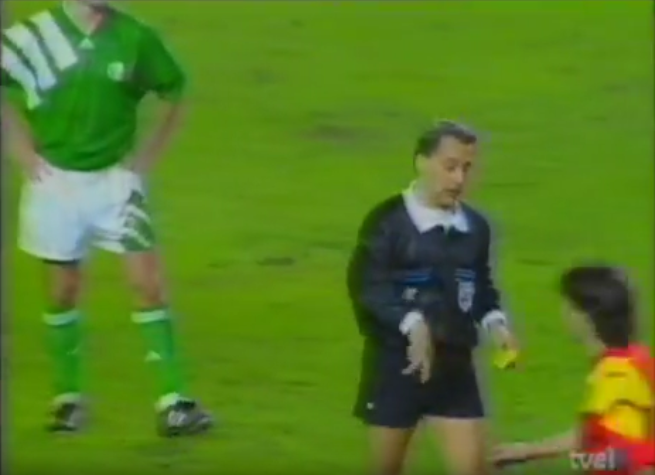 While the crest had been “upgraded” rather needlessly (although not as needless as the “modern marketing” crest change to come in 2004), the rest of the kit used in the 1990 World Cup and into 91 remained mostly unchanged when Ireland debuted the new badge away to Turkey in November. 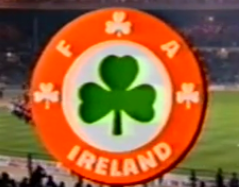 Above, Ireland crest 1977/1987-1991; Below, Ireland crest 1991-2004. 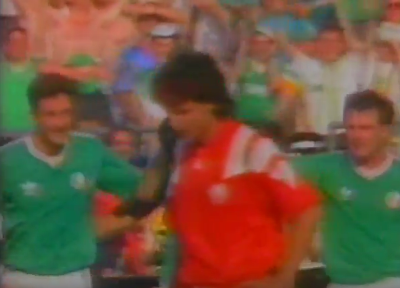 After successfully making it to Euro 88 and World Cup 90, failure in the following European qualification system meant participation in the inaugural US Cup in 1992 instead – essentially a friendly tournament. 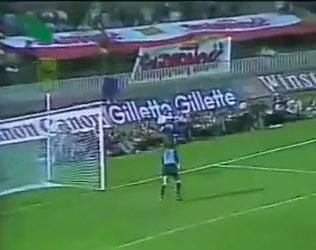 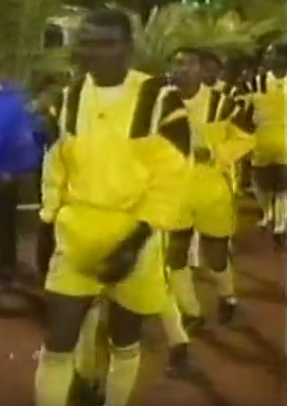 But this foreshadowed the next task at hand: qualification for the 1994 World Cup, also to be held on American soil. 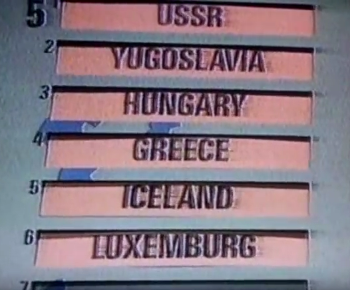 Spain from pool 1, who were rivals from the previous World Cup qualifiers; soon to be European Champions Denmark from pool 3; Northern Ireland from pool 4, with whom there was still high political tension and again a repeat opponent of the 90 edition; and the recently post-communist states of Lithuania, Latvia and Albania, who were all experiencing their own challenging times. 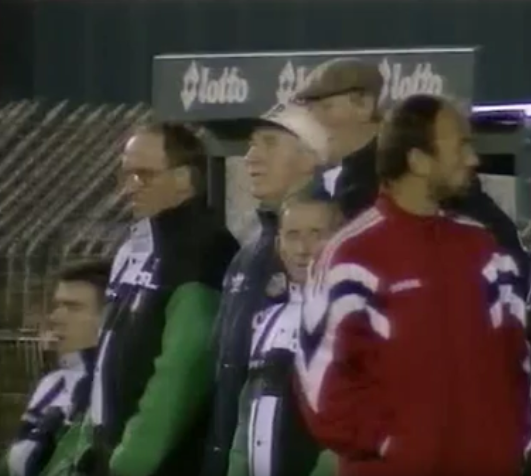 Before the 1992 European Championships had even started, Ireland’s World Cup qualifiers began with the arrival of Albania for the first ever meeting between the two countries. 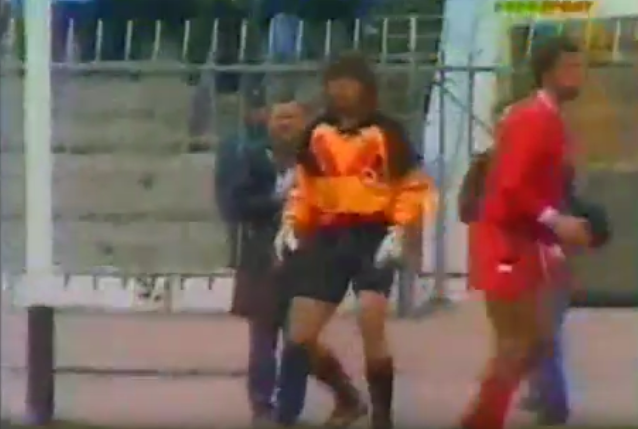 The visitors had already kicked-off the group away to Spain the previous month in a game that saw the home side debut it’s new Adidas Equipment template (complete with new “pyramid”/triangular Adidas logo), while Albania wore a virtually plain all-white strip. 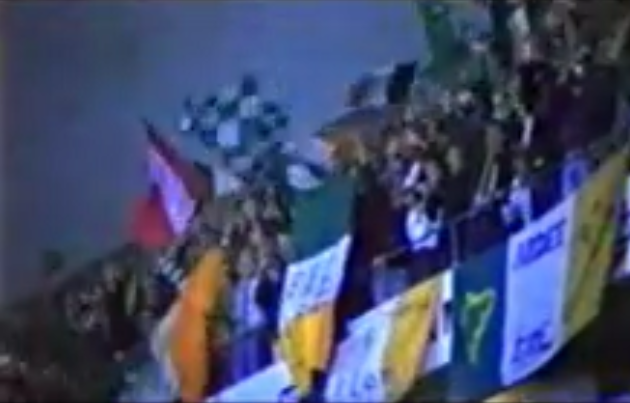 From the above graphic can be seen the Irish crest, as well as it’s Albanian equivalent. 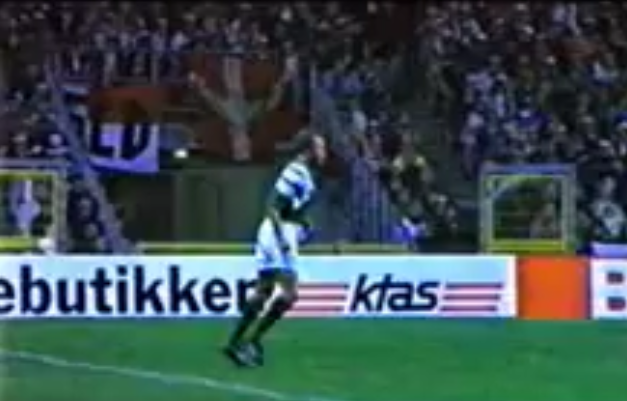 At first glance the latter’s “planet and star(? 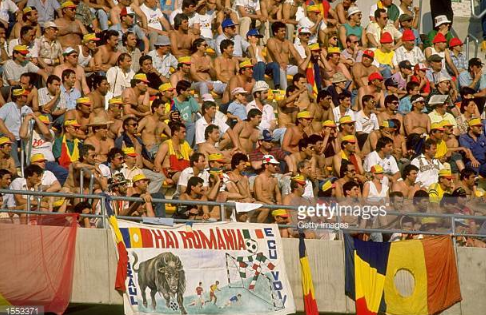 )” theme appears to be just some 80s stock image that a TV person had found, but the Albanian FA had long used something similar – a ball with a scroll around it rather than a planet – so an official, hastily produced rendering seems the most likely source. 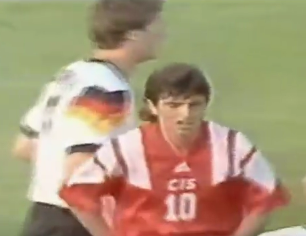 More important than a TV graphic was what the Albanian team themselves were wearing. 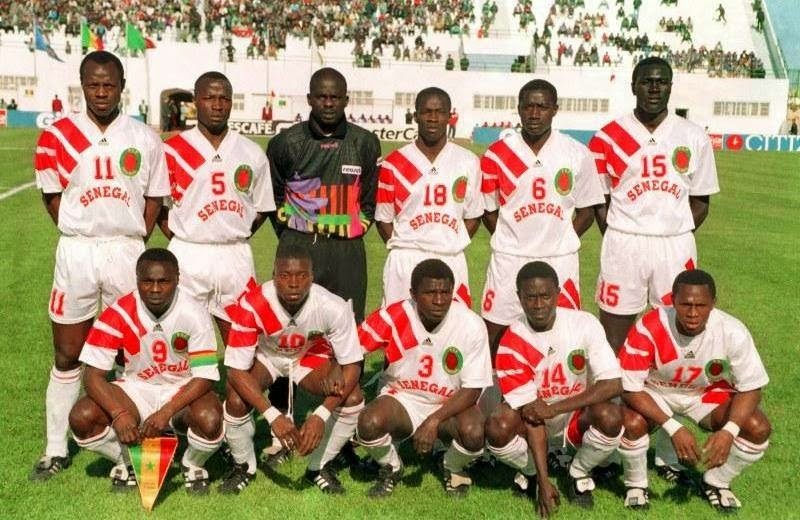 Following the collapse of the previous regime in 1991, the traditionally poor country was experiencing one of many periods of turmoil in it’s history, and as a result the national team had not traveled with a kit or training equipment (including balls). 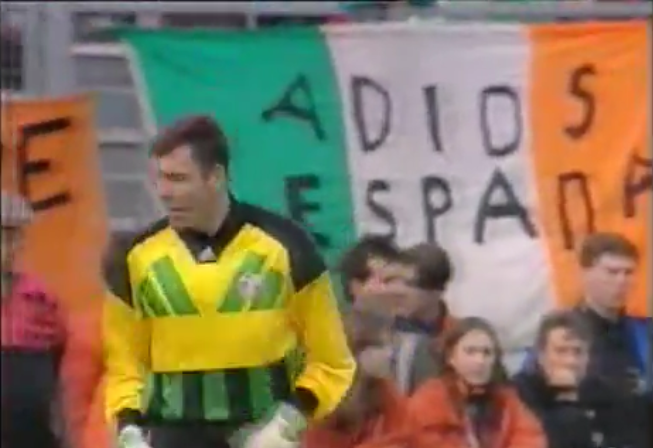 In a situation you can read more about here, with MuseumOfJerseys.com’s piece on the topic, a deal was made in which money was donated and a Cork sports gear factory – producing Adidas-licensed apparel at the time – stepped up to make a set of kits the day before the game. 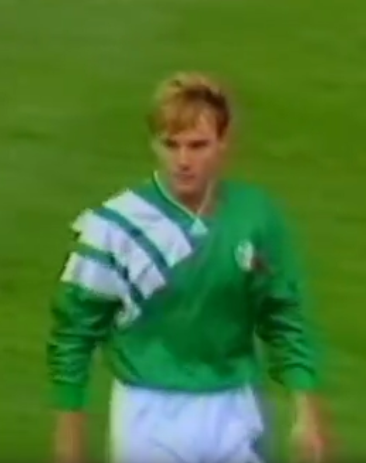 Ireland weren’t the only nation in this UEFA qualifying system to still use an “old” Adidas style, as another collapsing state in Czechoslovakia failed to progress to the Equipment line for the rest of their existence, while Portugal, Norway and the Faroe Islands all played in similar shirts to each other that featured a trefoil and stripes, although these were basically hybrid attempts which bridged the generations with the incorporation of joined shoulder bar “flashes”. 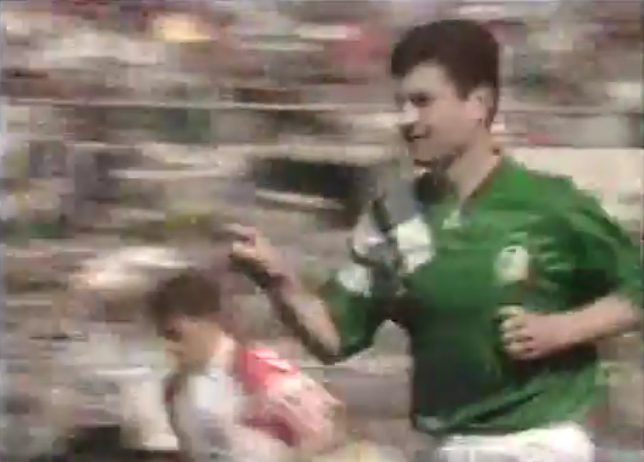 While aficionados of the US Cup (1992-2000) might be upset at us for not classing it as a competitive competition, the four team invitational was indeed the scene as Ireland once again used the same jersey that had debuted in it’s original form more than two years before, when taking on the hosts on May 30. 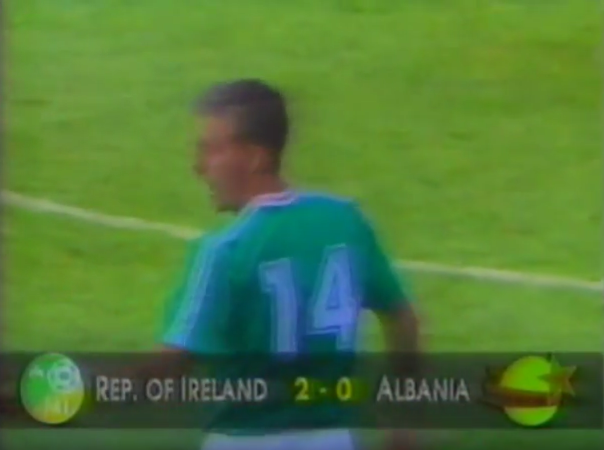 But frontal numbers were required on players’ shirts at the tournament (the first time that they would be seen on an Irish shirt) and all-green/all-white home and away strips were also used against Italy and Portugal (not the first or last time for either, but rare), all of which combined with the new crest and updated number-style to make the two of the most surreal Irish kits of all time (again, check out what Museum of Jerseys had to say on the matter). 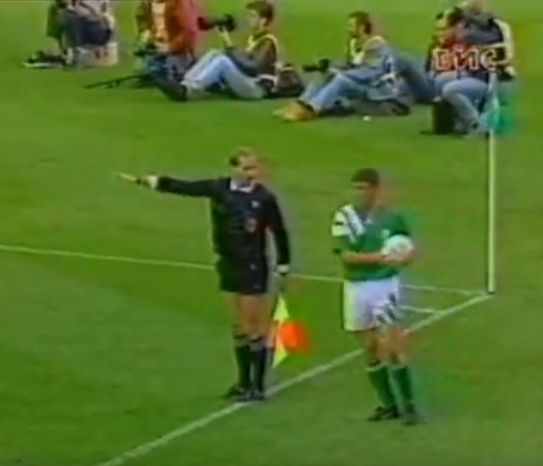 Ireland in all green wearing the rare sight of frontal shirt numbers along with a trefoil, vs Italy, US Cup, 04/06/1992. 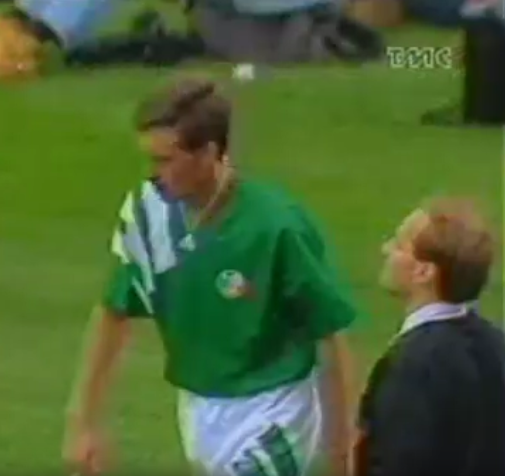 It would be interesting to know if Ireland would have used the same outfits had they qualified for Euro 92, commencing three days after the US Cup ended (which also would have added player names on the back) or if they would have switched to the Equipment style sweeping across Europe, as the other qualified Adidas-contracted nations had done. 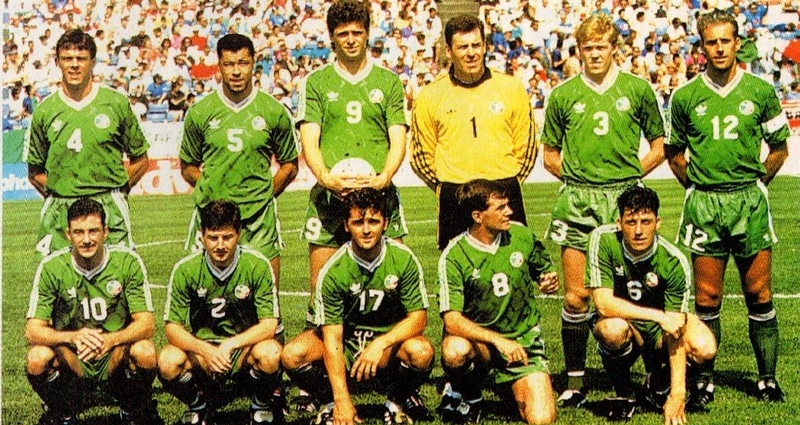 Either at football association or manufacturer level, it somehow seems that an upgrade may not have been considered quite as urgent for Ireland without a place at the premier international tournament of that summer, although with the new crest, back numbers, front numbers and colour-combos, everything else about the kit had been quietly evolving around it nevertheless. 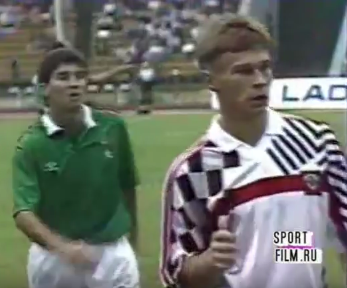 And the fact that they did not switch meant that the Irish shirt at the US Cup was one of the very few instances of an international jersey featuring both a trefoil and a frontal number (with the original example dating back to 1972 – again head to MOJ for our own story on that). 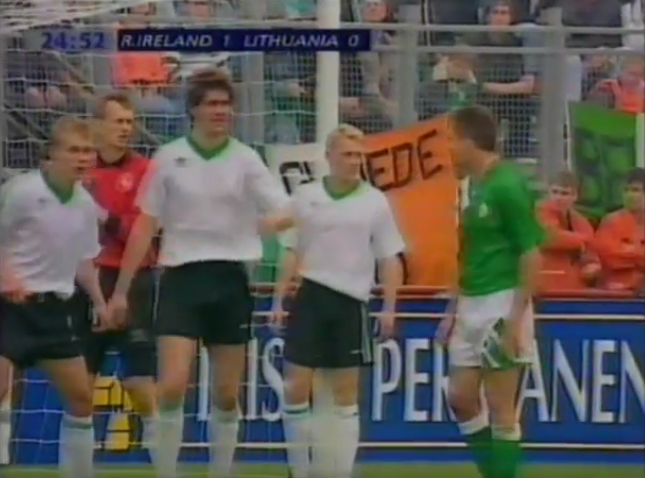 The qualifying campaign resumed in the autumn as Ireland faced another first-time opponent in Latvia, but – unlike Albania who Ireland had merely avoided in previous draws – this was mostly because Latvia had been part of the USSR from 1944 to 1991. 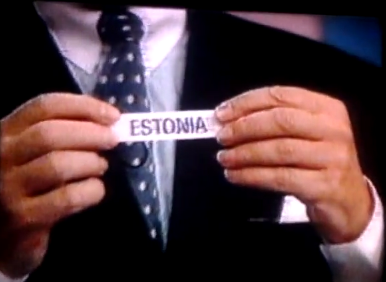 The Latvians were lucky to even make it into the draw, as only they and their fellow Baltic states Estonia and Lithuania had become independent early enough to be accepted by UEFA, with Russia later inheriting the Soviet Union’s place. 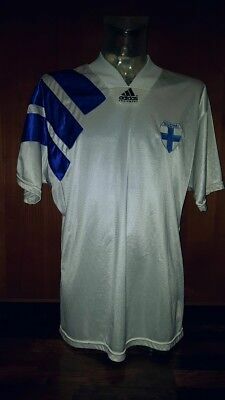 This template was used in the period by the likes of Bulgaria, Finland Sweden (with a centralised crest), and domestically for the Irish Cork City. 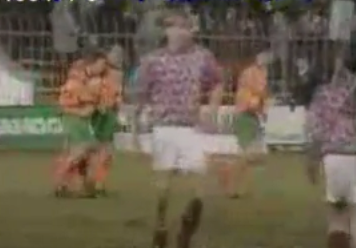 But it proved even more popular outside of Europe at international level, as shown by Australia, Canada, Japan, Nigeria (see the shorts and socks, “mashing” Adidas generations in the opposite way to Albania), Senegal, Zambia and the USA, who had worn it twice against Ireland already in 1992. 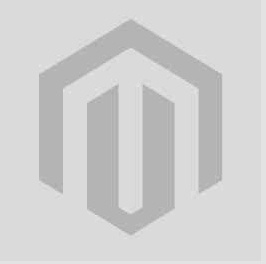 Using a slightly deeper green than the previous couple of editions and with subtle vertical shadow striping, it turned out that the Irish colourway was perfect for the template. 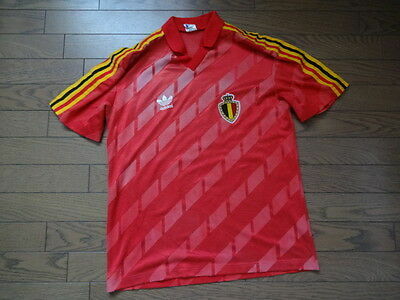 The crest that debuted nearly a year earlier also at last looked in place, as well as the number style on the back. 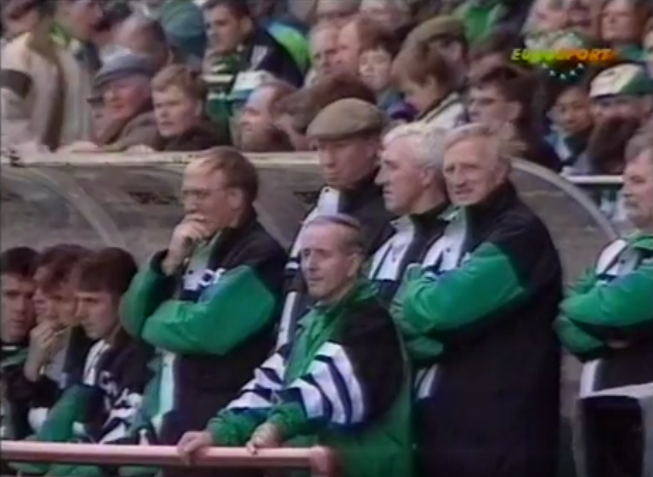 The collar trim was the icing on the cake, with the whole ensemble looking particularly classy. 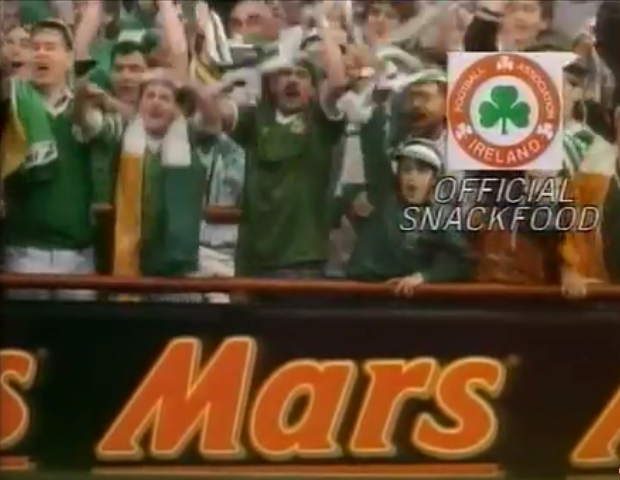 In saying that, it is worth mentioning the reservations held by some at the application of what was basically enormous corporate branding across the sacred green jersey. 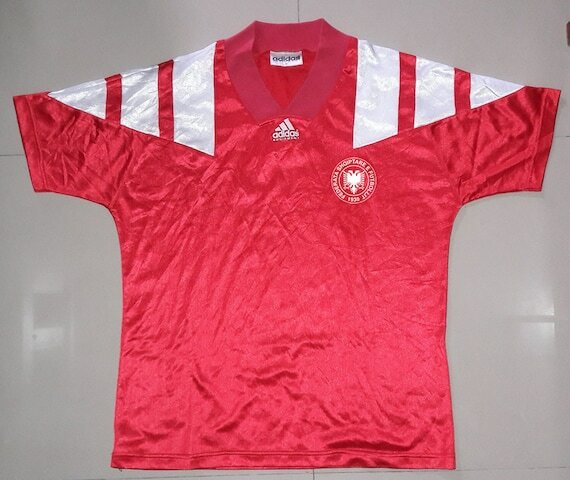 But given the ever-evolving nature of football and football jerseys, and the purely objective style of the shirt, we are not too hung up about it. 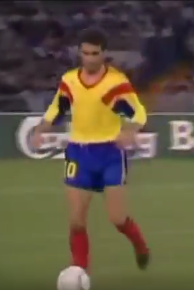 Another thing separating the new design from it’s predecessors was that the shirt was made out of two main pieces of material for the front and back and sown along the top of the sleeves and down the sides, rather than separate pieces for each sleeve (a system still used on some other teams’ versions). 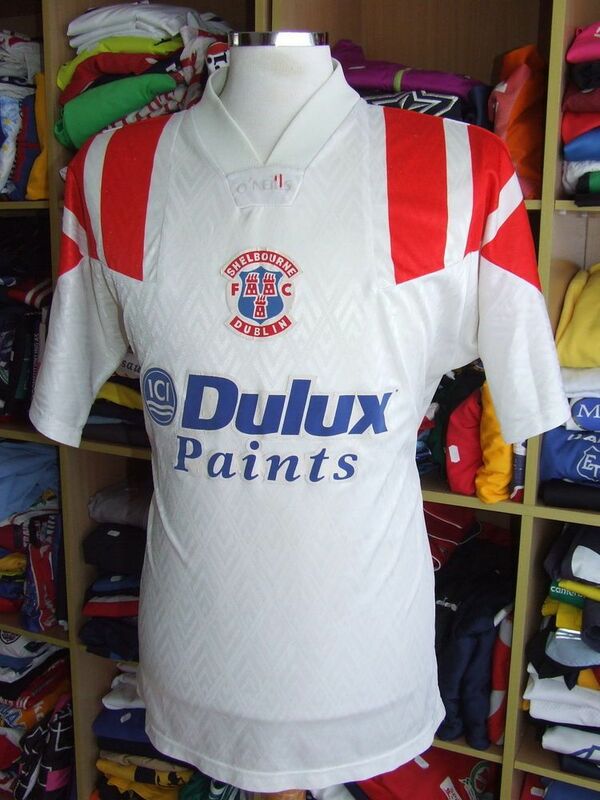 A baggier style was replacing the tight fitting gear of the previous decade and the sowing technique had become a popular practice among kit makers in the early 90s, as can be seen on a jersey we Retro Shirt Reviewed (that we described as a Reebok equivalent to the same Irish jersey here). 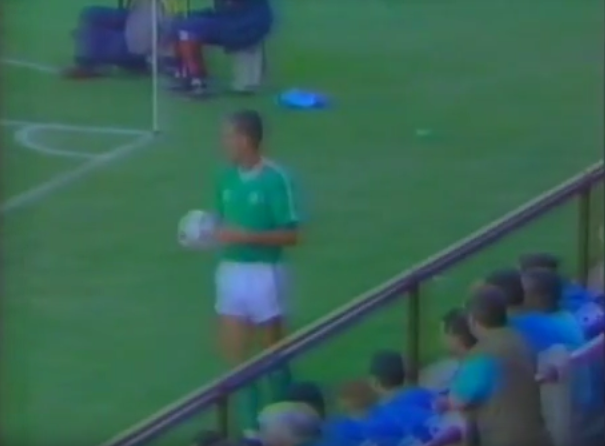 As Ireland romped to a 4-0 victory, it is worth mentioning the visitors who were using a crestless version of the multi-shaded geometric Umbro template also being employed by Northern Ireland at the time (their first since leaving Adidas in 1990). 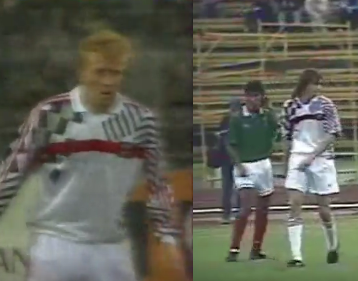 But unlike the North, Latvia’s shorts unusually featured an Umbro double diamond with no Umbro wordmark, a style that had been last been common in the 70s and wouldn’t be again until the 2000s. 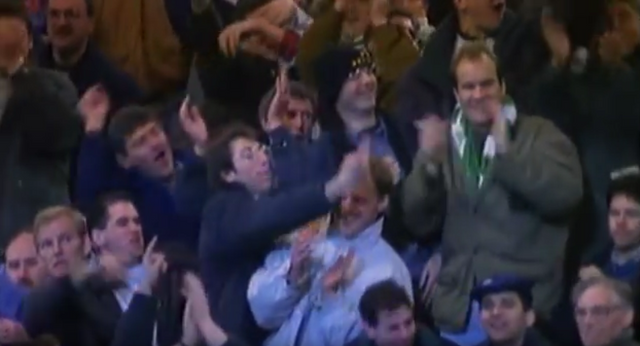 Having gotten two of the less challenging home matches out of the way, Ireland were next due tough back-to-back aways in October and November against the other two top teams in the group. 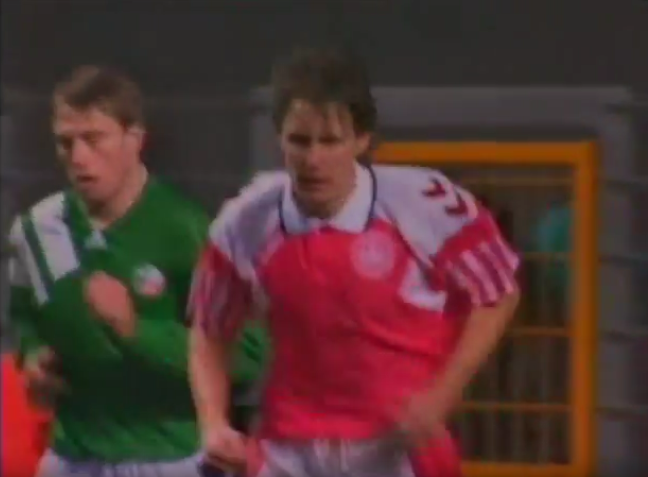 First up was Denmark, who had been the opponents in a 1985 qualifier when Ireland had last worn an O’Neills kit, featuring the short-lived shield-less shamrock crest. 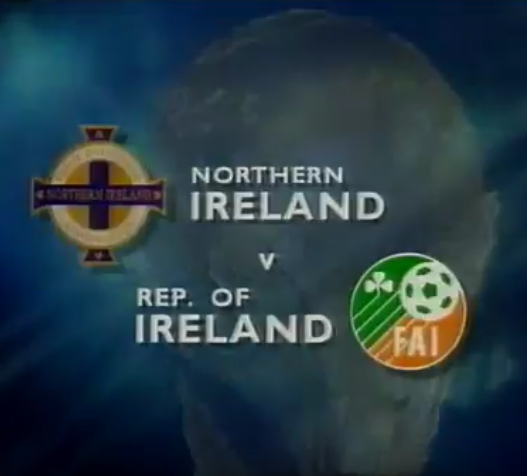 After a February warm-up friendly against Wales in Tolka Park, Ireland next welcomed their co-habitual island cousins from the North, who at one time undoubtedly held the grander achievements of the two with World Cup appearances in 1956, 82 and 86, before the Republic had made it to any tournament at all. 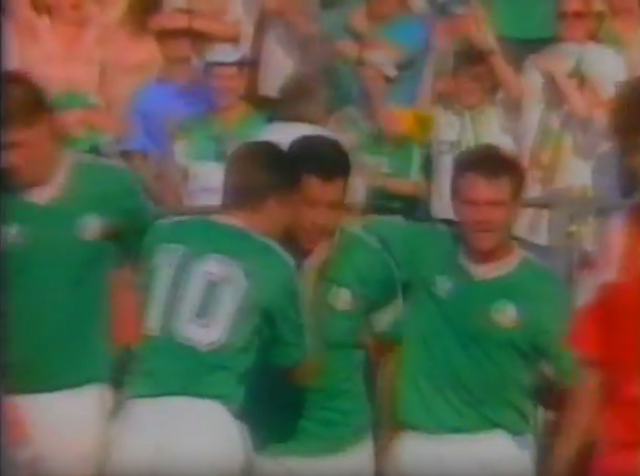 But with Ireland’s progression to two of the last three major competitions and some impressive results therein, as well as a 3-0 home victory the last time the fixture was held in October 1989, things had definitely shifted. 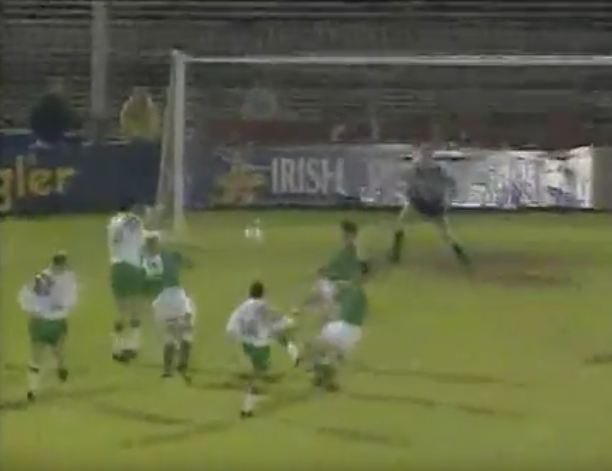 Ireland did at last concede a goal, but equalised to give both teams a share of the points. 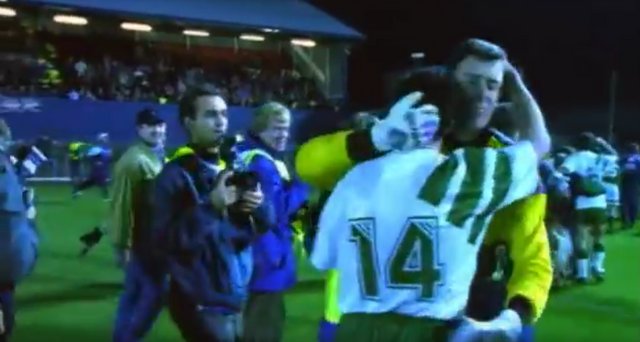 With six games completed and six to go, the result left the Irish still outside the two qualification places despite their unbeaten record, serving as a reminder of the “undefeated failure” of European qualification. 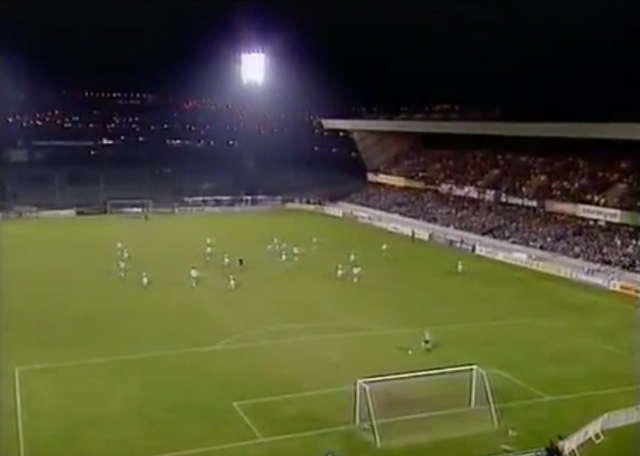 Even though Ireland did have two and three games in hand over Spain and Denmark, and with the two toughest away games on paper already satisfactorily navigated, three potentially-tricky trips to the “unknown” east were yet to come, with a date in Northern Ireland’s intimidating and grim Windsor Park looming on the last match day in November. 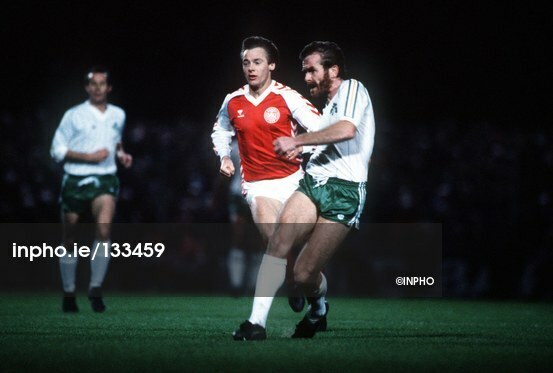 With so many teams in Ireland’s group, there was little time or need for friendly matches, apart from the low-key affair against the Welsh. 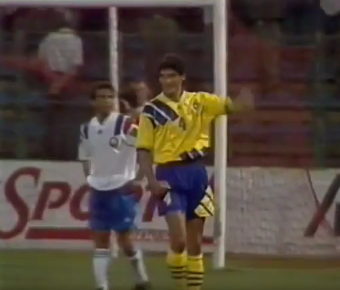 Three days after playing in Albania though, there would be a game that would be considered a friendly for a least one team involved. 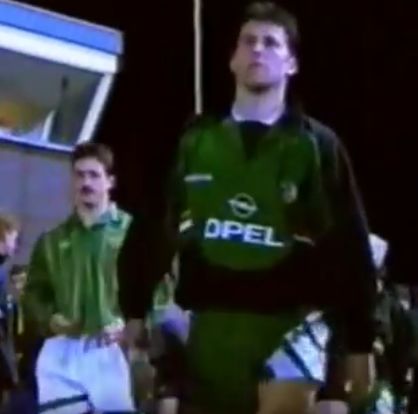 The occasion was veteran defender David O’Leary’s testimonial match, in which an Irish selection was to take on Hungary in Dublin. 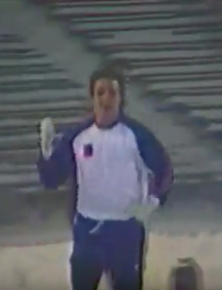 But due to some sort of misunderstanding, FIFA and Hungary were under the impression that the game was a full international and the Hungarian players who played were awarded full caps that stand to this day (thanks to kit collector and expert Barry Rojack for this information). 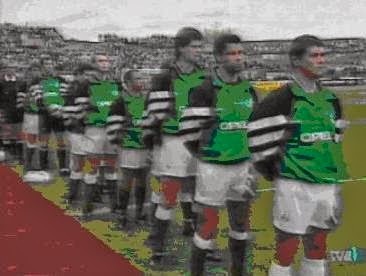 For the Irish, as with all their testimonial sides, shirts baring the Opel logo that appeared on replica versions were used, creating a new unique club-like feel and giving us another rare example of a sponsor being used in a (half) international game. 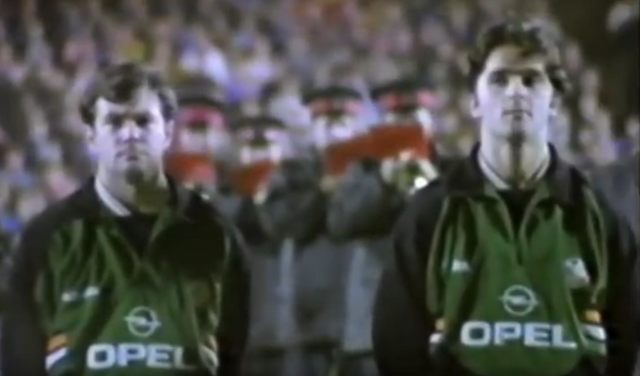 The Opel wearing Ireland XI celebrate going 1-0 up after 10 seconds, David O'Leary testimonial, vs Hungary, 29/05/1993. 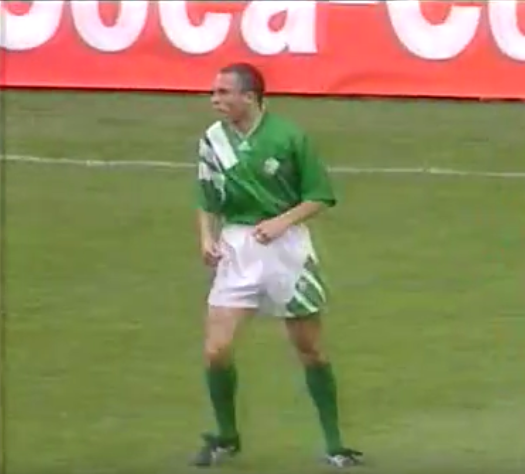 Considering which club side was using the same template with the same sponsor at the same time, we would like to call this the “Bireland Munich” jersey. 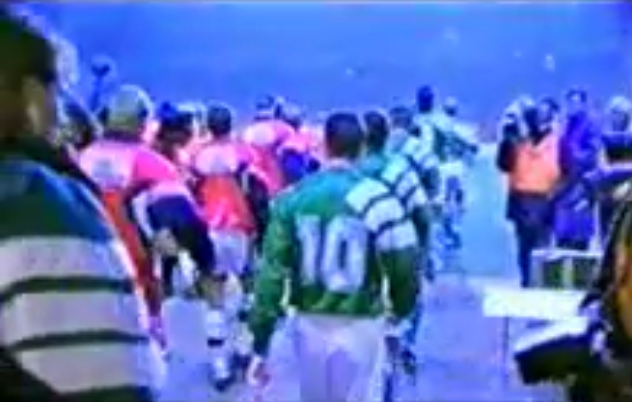 The appearance of players like Phil Babb in the game, who would not earn full caps while the Equipment shirt was being worn, also added to the other-worldly effect. 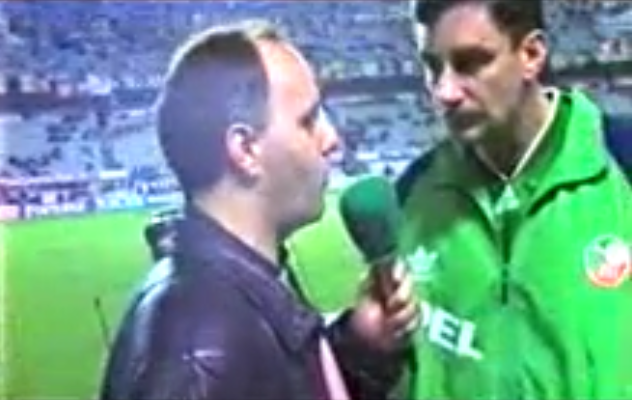 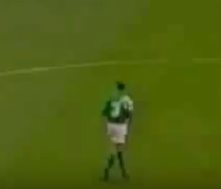 Despite the Irish XI going 2-0 up, including a goal after just ten seconds from Roy Keane, Hungary came back to score four in the second half and take the win, at which their commentator was naturally very excited. 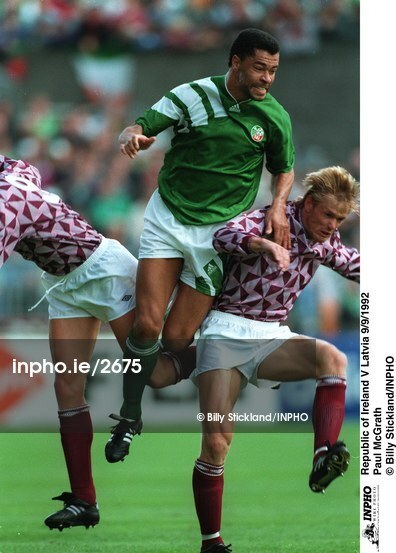 Phil Babb in action for the Irish XI the year before making his full debut, in a shirt he would never play in at senior level, David O'Leary testimonial, 29/09/1993. 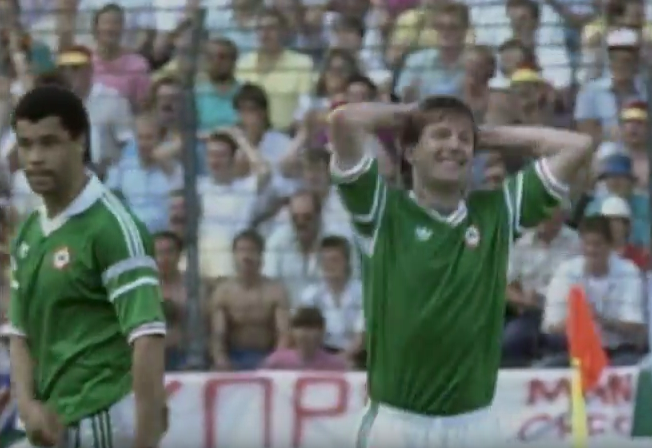 Another two goals and a return to a clean-sheet meant that the first half of Ireland’s Baltic mission had been successfully completed. 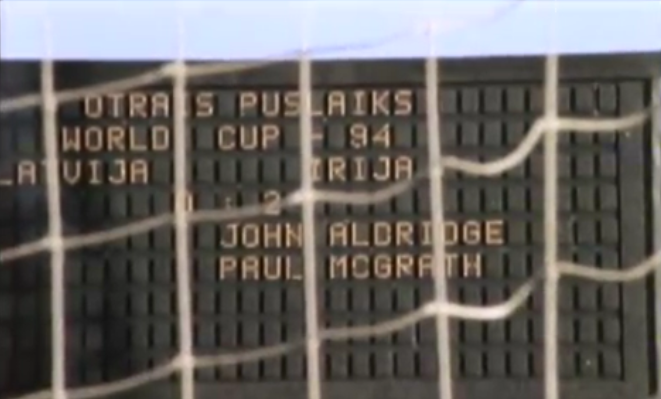 A week after the Latvia win, Ireland were in Vilnius for the last game of the summer to take on their one remaining opponent in the group, again for the first time ever. 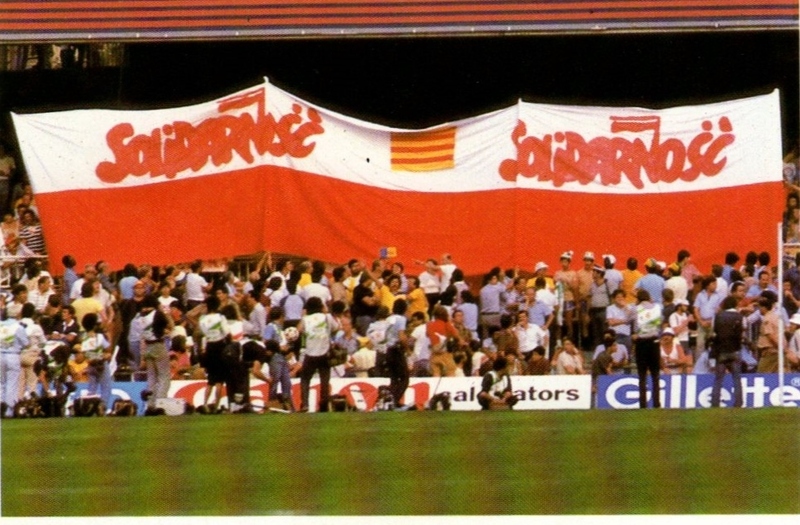 Lithuania had perhaps been the strongest of the three weaker sides so far, with draws against Denmark and Northern Ireland, and wins over Albania and Latvia. 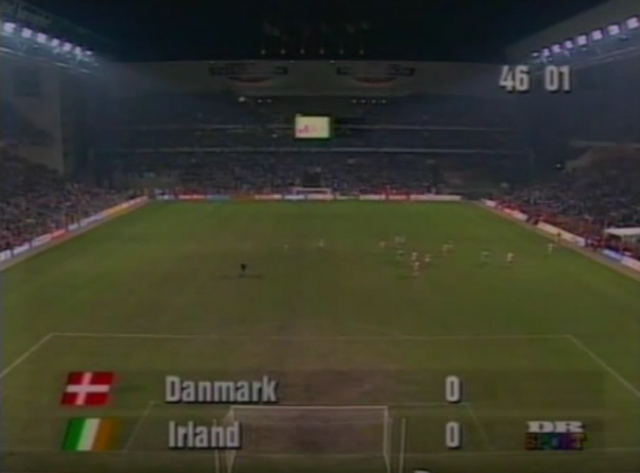 Any perceived visual difficulty was rendered irrelevant though, as a single goal was enough to give Ireland another two points (as three points for a win had yet to be introduced). 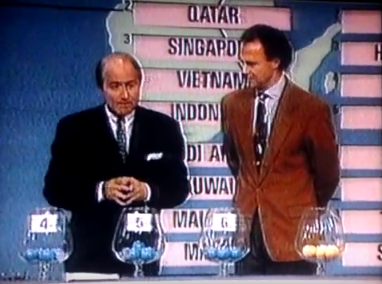 The tricky summer tour of the east was over. 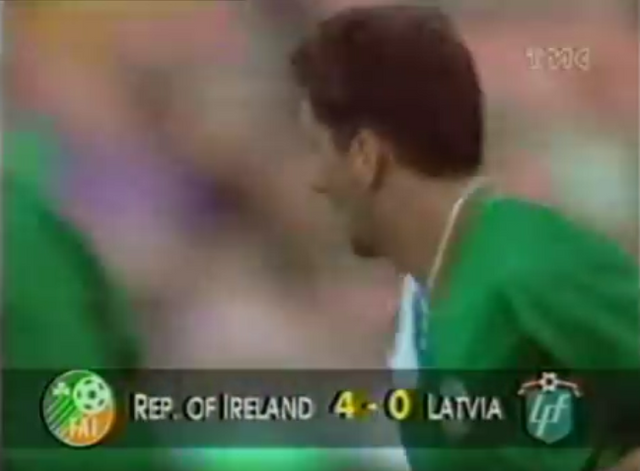 Going into the crucial last stretch of games, it was the Lithuanians again next in Dublin. 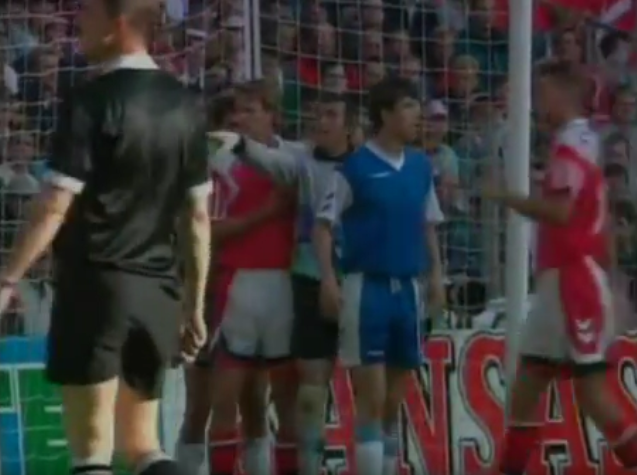 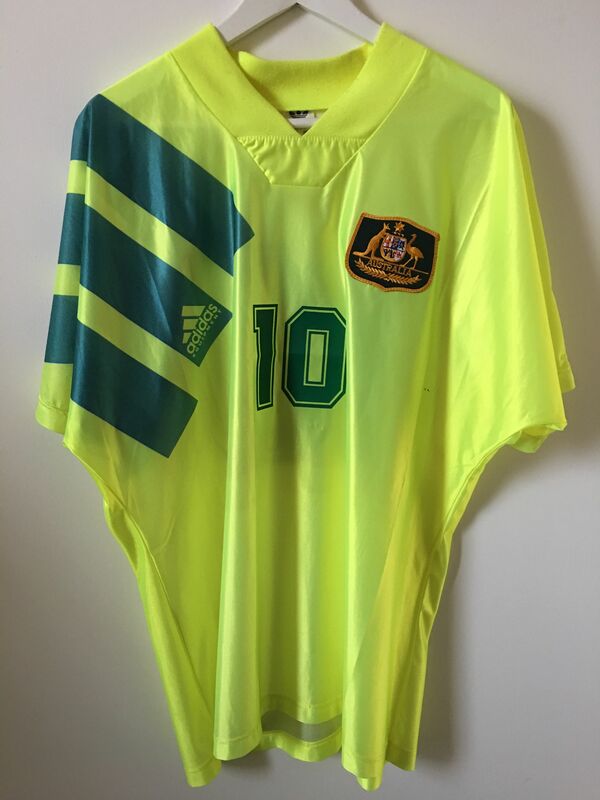 Here we will once more refer to Museum of Jerseys’ feature linked to earlier, as a similar situation arose to that of the Albania game the previous year. 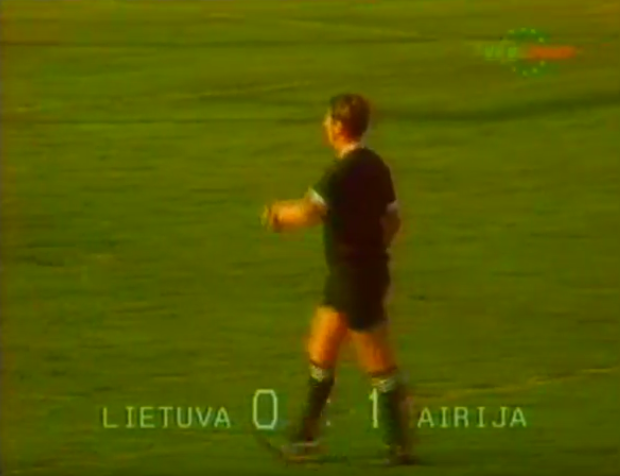 It was actually quite a nice look, even though the only player still wearing the red badge of Lithuania was the goalkeeper. 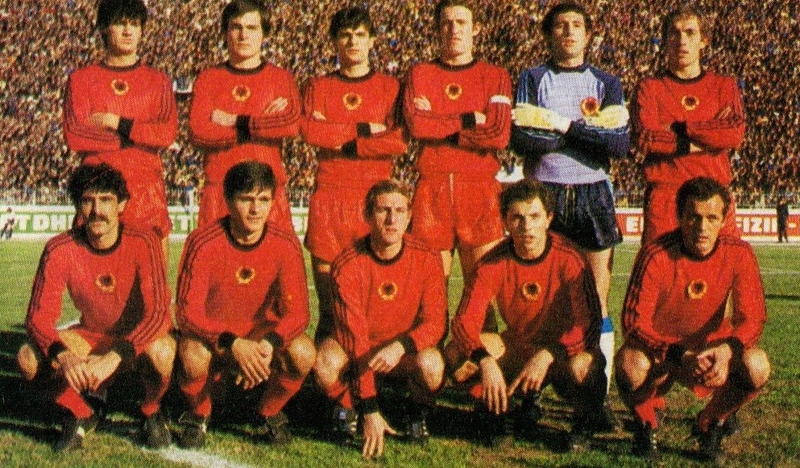 But unlike Albania in Dublin – who had basically been able to create a unique version of their home strip with the correct colours and badge – this was a second instance in the group after Albania’s other blue-strip situation in Denmark of a hastily arranged, completely made-up kit. 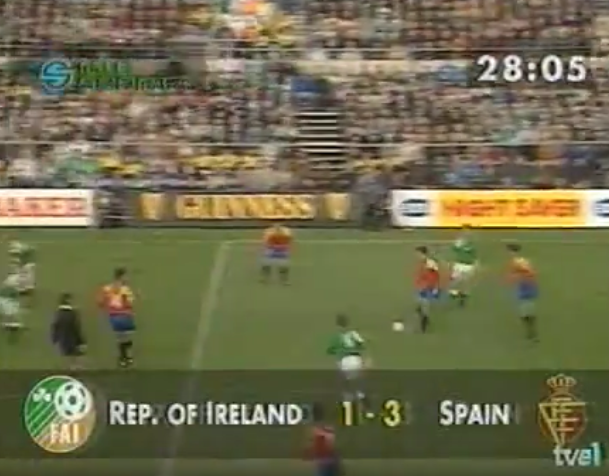 The situation was quite ironic after Ireland had nearly had done the exact same thing in the previous game, had the Lithuanians decided to use green as a home shirt colour that day. 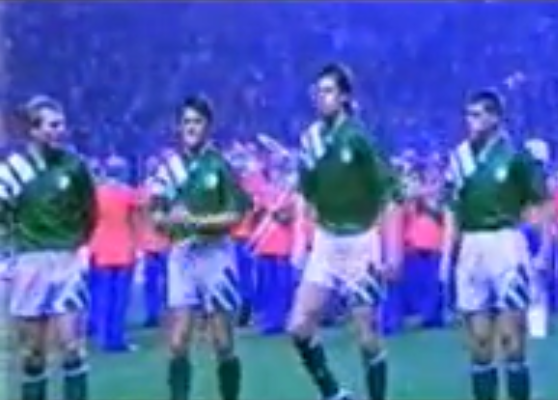 Instead, Ireland’s Lansdowne Road stadium had once again witnessed a game in this campaign between two sides wearing different generations of Adidas templates – now with the roles reversed in terms of the Irish being the more up to date side – and unlike the Albania game it was also a long shorts vs short shorts affair. 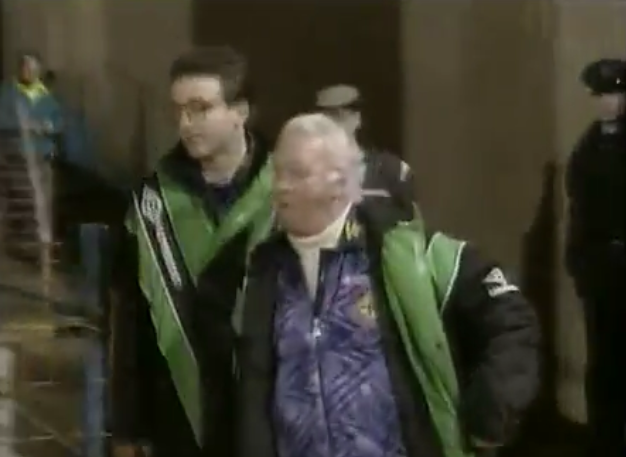 A comfortable 2-0 win completed an important five wins a row for Ireland, with a sterner test against Spain coming up next. 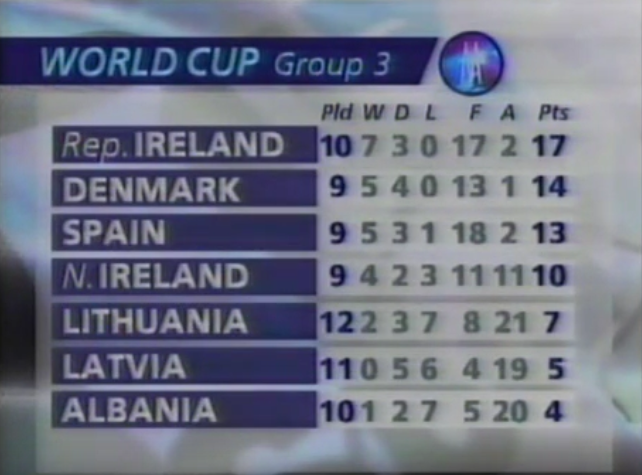 The excellent form brought top spot in the Group, although both the Danes and the Spanish had a game in hand. 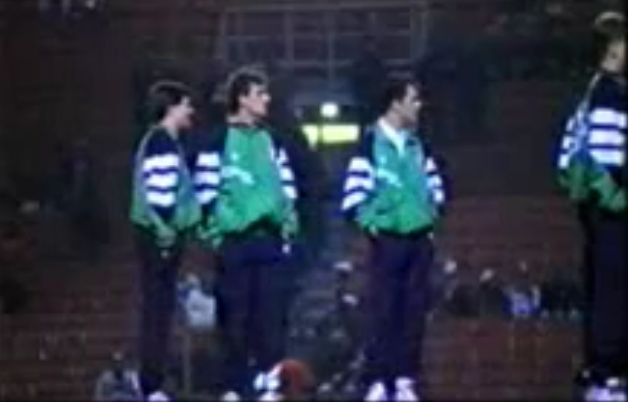 Before the game against Spain, who had last succumbed to a 1-0 defeat in Dublin in 1989, Ireland wore tracksuit tops-come-anthem tops that were similar to those shown earlier before the Denmark game. 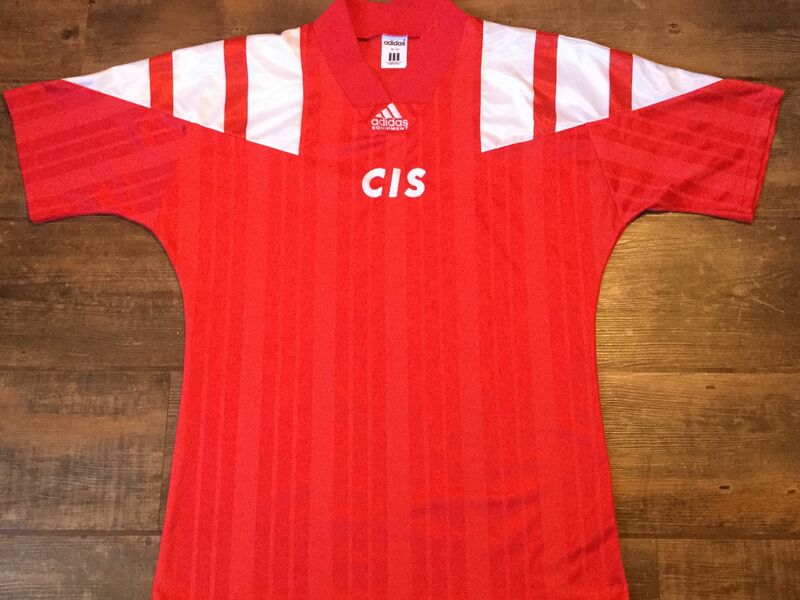 There was one major difference though, as a simple Adidas wordmark had replaced the trefoil, again foreshadowing what was to come on the actual shirts the following year. 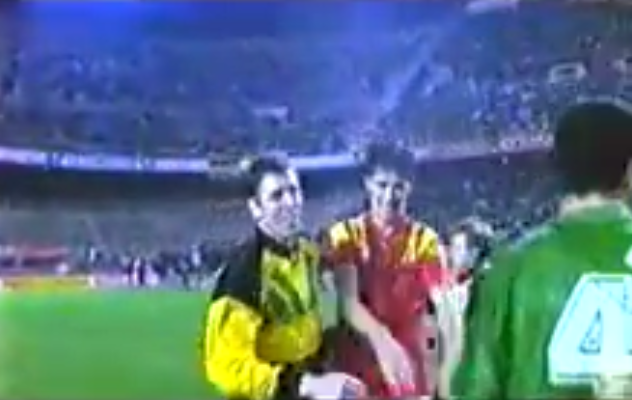 Having been defeated 1-0 away to Denmark on the same day Ireland lost to Spain, Northern Ireland were mathematically out of the running to qualify by the time the last round of fixtures came around. 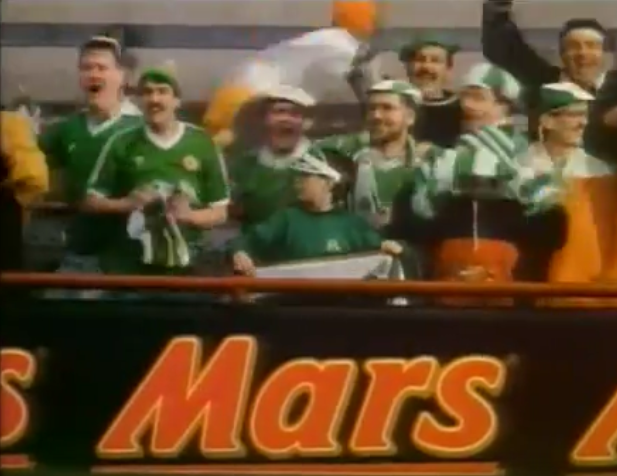 But the next best thing would clearly be to eliminate the Republic in Windsor Park. 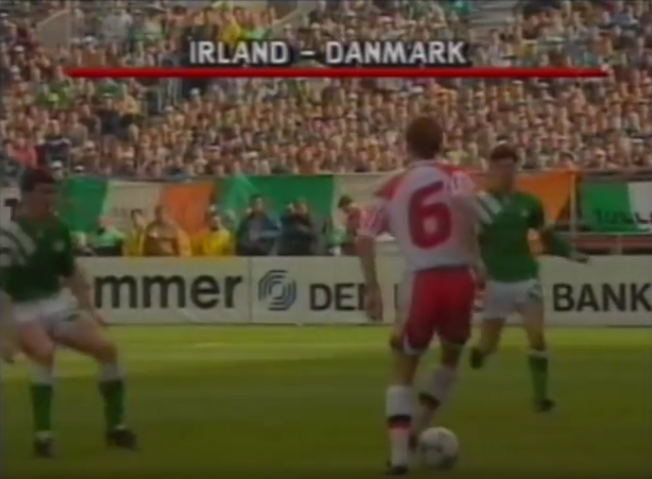 The wins over the two Irish sides for the Danes and Spanish in October had left Denmark in top spot with 18 points, while Spain and Ireland behind them on 17 points each were separated only by the Spaniards’ superior goal difference. 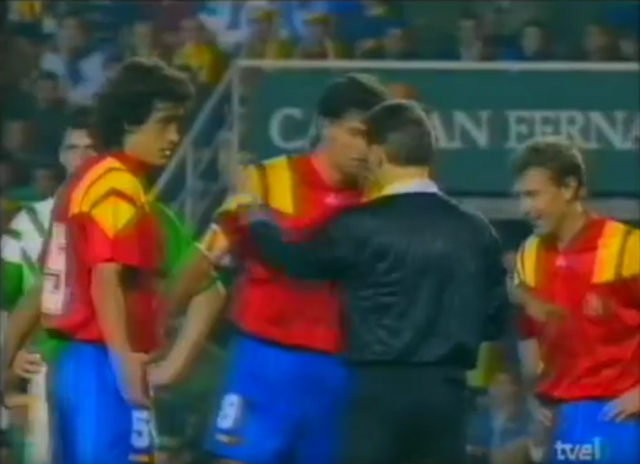 But Spain and Denmark were also playing each other on the last day, meaning points would be dropped somewhere, and this left the North needing a win in order to definitively block Ireland’s progress. 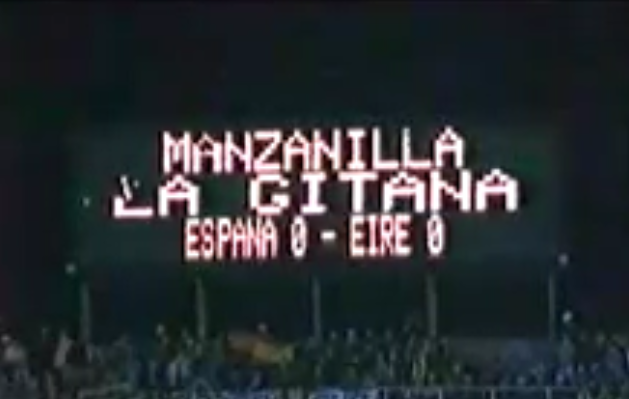 That was how things would stay until the end, when the RTE broadcast switched over to the dying stages of the Spain vs Denmark game as the reigning European Champions desperately sought a goal. 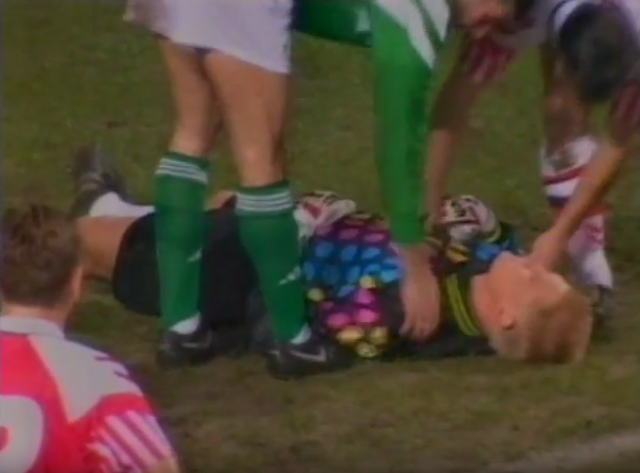 It was a nervy few minutes for Ireland, as had Denmark succeeded in scoring, the point gained would have secured top spot while Spain’s goal difference would ensure they still beat Ireland to second place. 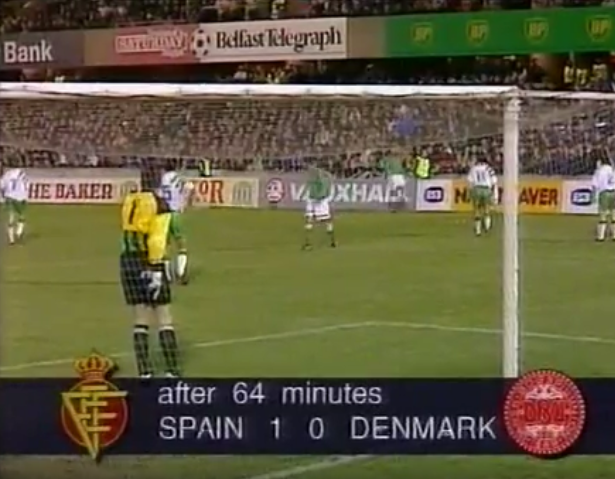 There was no need to worry though as the Spanish held on, meaning Ireland and Denmark both finished on 18 points with a goal difference of +13, but Ireland’s “goals for” tally of 19 – compared to the Dane’s 15 – just about gave them the edge. 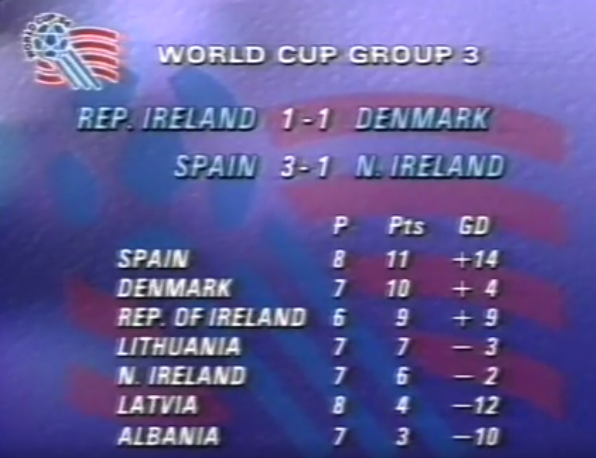 The group seeding had turned out to be spot on, as it ended in the exact same order it was drawn; Denmark were out, and the Republic of Ireland had officially qualified for their second consecutive World Cup. 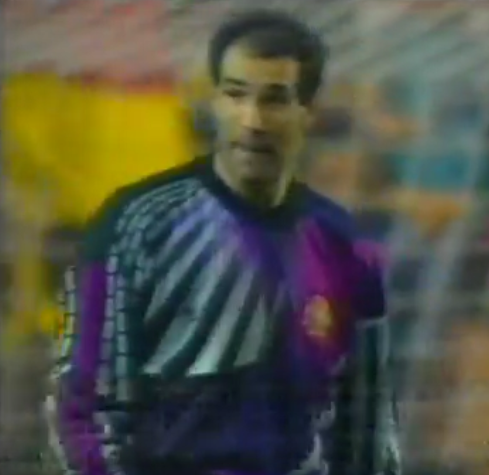 This fact meant that the alternate goalkeeper top – if one had even been prepared – never saw the light of day. 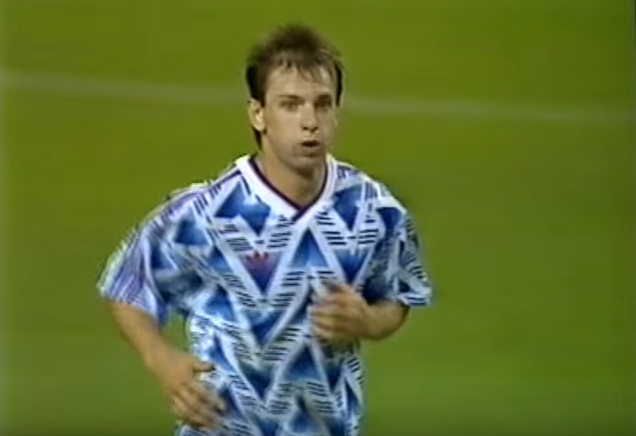 But at last the outfield away had made what would turn out to be it’s one and only appearance, as new strips were introduced the following year in the lead up to the World Cup. 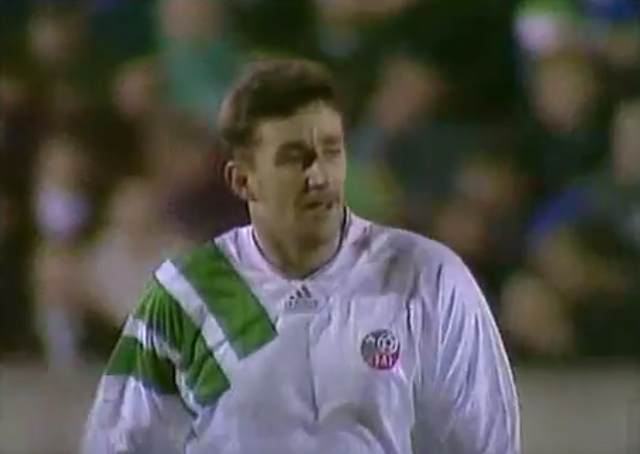 Given the significance of the game in which it was worn, as well as the iconic design and our particular fondness of away gear as well as this particular template, we give it the nod as the greatest “one-off” Irish jersey and kit of all time.